The Terrence Malick film Tree of Life tackles everything from the creation of the universe to family life—making it took years, millions of dollars, and Hubble telescope imagery. Writer-director Terrence Malick’s The Tree of Life is many things to many people: a ponderous exercise in non-linear storytelling, a triumph of elliptical moviemaking that just happens to star Brad Pitt and Sean Penn, a plotless and overlong art film, a singular work by an idiosyncratic genius. Without question, though, Tree of Life is already being recognized as one of the most important movies of the year. It has polarized critics and preview audiences as one of 2011's few unmitigated love-it-or-hate-it breakouts. A kaleidoscopic drama of epic proportions that tackles equally epic ideas—spiritual reckoning, galactic interconnectivity, and how the dead manage to still transform lives from the great beyond—the movie arrived in theaters Friday after collecting the Palme d’Or at this year’s Cannes Film Festival. But with most of the critical ink so far dedicated to the film’s capacity to alternately piss off and delight moviegoers, a larger discussion may be getting overlooked. Was bringing The Tree of Life to the screen the most convoluted production in the history of movies? Any discussion about the movie necessarily begins with Malick, a shadowy former Heidegger scholar who’s phobic about making promotional appearances (he turns down all interview requests, including one for this story), has a tendency both on and off his sets toward fiddly perfectionism and is hailed as something like moviedom’s Thomas Pynchon. The director’s scant oeuvre, just five films in 38 years, belies his reputation as an audacious auteur. Penn’s hardly alone in that appraisal. The film’s financiers and producers, its special effects supervisors, and actors invariably and unhesitatingly describe Malick in lofty terms: as an “artist” or a “renaissance man.” Which goes a long way toward explaining how he managed to make The Tree of Life in the freewheeling—the less generous might say overwrought—way that the director did. Through some unique alchemy of reputation, force of character, raw intellectual power, and OCD-infused charisma, Malick has voodoo-ed everyone into total acceptance of his unorthodox M.O. It’s an exacting method that spooled out over years and burned through tens of millions in the kind of post-production dollars not commonly associated with art films. “It ended up taking longer than we planned for,” Gardner, Pitt’s producing partner, admitted. Moreover, in an industry fixated on the bottom line, where, as a rule, artistry must concede to fiscal considerations, Tree of Life required every participant to suspend disbelief and trust Malick. That meant those holding the production’s purse strings had to override Hollywood’s typical “if it don’t make dollars, it don’t make sense” imperative and do no small amount of magical thinking to enable the filmmaker to create a work intended to be closer in scope to an “experience” or a “hymn” than a simple movie. This much is already known about the process of nurturing The Tree of Life into full foliage: After making a huge splash with his second feature, the romantic drama Days of Heaven in 1978, Malick laid the groundwork to make a film to be called Q about the formation of life in the cosmos. Toward that end, the director and a small crew went around the world to shoot things such as ice floes in Antarctica, solar eclipses, and microscopic jellyfish along the Great Barrier Reef. After difficulties with the studio backing him, however, Malick backed out of the project and dropped out of the public eye for the next two decades—although by some accounts, he never stopped accumulating footage for Q.
Fast-forward to 1998 and the director’s return to form with his war drama The Thin Red Line. Malick began talking to potential financiers about his long-incubating project—now no longer called Q—which he envisioned as a film encompassing his childhood, the creation of the universe, and what it all means. But when he subsequently read Malick’s retooled script for the project in 2005—which Pohlad describes as “like poetry or really dense prose” but also “maddening for somebody who wasn’t used to that style”—he was sold and came on board as financier. Brad Pitt and Dede Gardner of Plan B Entertainment also came on as producers, similarly falling under the filmmaker’s thrall. “One of the great privileges of life is to work with Terry Malick,” Gardner said. After several actors dropped out for the principal role of Mr. O’Brien, a mid-century Texan father of three pre-teen boys who terrorizes and galvanizes his family with a homespun brand of tough-love, Pitt claimed the part for himself. Penn, who had previously worked with Malick on The Thin Red Line, portrays the small role of an adult version of the eldest son and Broadway actress Jessica Chastain plays Mrs. O’Brien, the family’s luminous matriarch. In Smithville, Texas, where most of Tree of Life was shot, Malick shuttled production among three identical houses; he would pack up the cameras and run from one to another to capitalize on the day’s shifting natural light. Quirkier still, the three young actors portraying the O’Brien boys—non-professionals plucked from a casting call of some 10,000 kids—were never permitted to read the entire script; Malick meted out dialogue and directions to them in an attempt to keep the boys ignorant of the film’s full scope and focused on individual scenes. As if all that weren’t painstaking enough, before and throughout filming the live action sequences, Malick worked with his old pal, the pioneering special-effects expert Douglas Trumbull ( 2001: A Space Odyssey, Blade Runner) on eye-popping visuals for Tree’s trippy sequences that wrangle with themes of cosmic oneness—visuals such as the formation of Earth from the accretion of solar nebulae 4.5 billion years ago, imagery of the universe’s roiling primordial soup and what amounts to a sub-plot concerning a couple of soulful dinosaurs. Trumbull put together what the production describes as a “secret” lab in Malick’s hometown of Austin, Texas, called the Skunkworks, where a small crew of tech guys conducted experiments with materials such as fluorescent dye, smoke and spin dishes, even shooting milk through a funnel into a narrow trough and filming the results with a high-speed camera. In 2007, visual-effects taskwork was handed off to Dan Glass, the acclaimed visual-effects supervisor behind movies including Batman Begins and The Matrix Reloaded, who continued Malick’s signature imagineering in earnest. When all the necessary footage had been shot, Malick began editing various cuts of the film—Pitt recalls seeing a 4½-hour version of Tree of Life at one point, and later, a 3½-hour incarnation. Producers, meanwhile, hoped to bring it to Cannes last year before the director asked for more time. “It ended up taking longer than we planned for,” Gardner, Pitt’s producing partner, admitted. So in the end sum then, what to make of Malick’s convoluted moviemaking mojo? Was it worth it? Chris Lee is a senior entertainment writer for Newsweek/The Daily Beast. 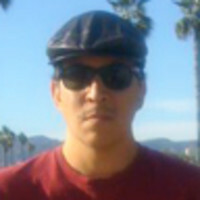 He previously worked as an entertainment and culture reporter for the Los Angeles Times. His work has also appeared in Vibe, Premiere and Details magazines and has been plagiarized in The Sunday Tribune of Ireland and The Trinidad Guardian.